Remember that question I had 6 years ago when I wrote my book? Well I don’t have it anymore! Answered! Like all your questions can be. My book teaches you how. 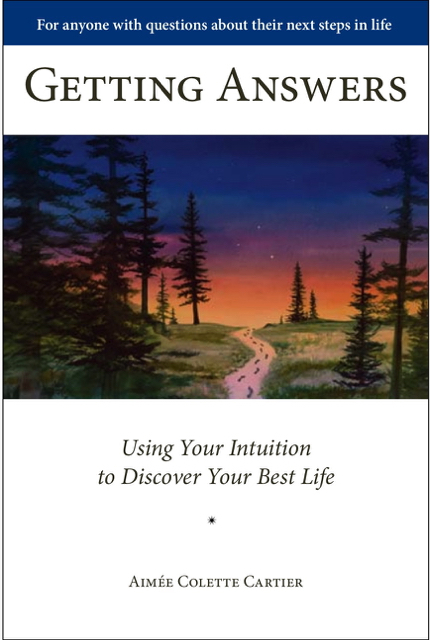 It’s been 6 years this month since I published Getting Answers: Using Your Intuition to Discover Your Best Life! 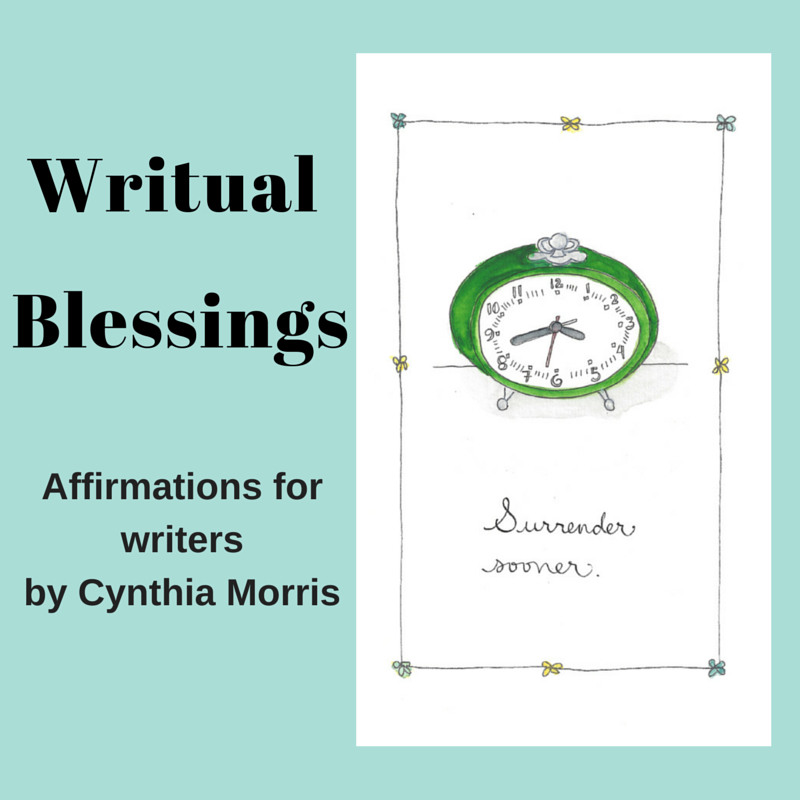 If you’ve read my book, you know that at the time I wrote it I had this strong feeling that something was calling me, beckoning me– willing me to find and discover it. But at first I didn’t know what it was. Ever have that feeling before? You know you are on the threshold of something, you can feel something new and different calling you… but you are actually unclear as to exactly what it is. You just know from the depths of your being that is is. By using the simple four-step process I teach in my book I discovered that the answer to this mysterious feeling for me was “my people.” When I asked myself what it was that was calling me, what was behind that nebulous but persistent feeling I had that something was wanting my attention, that was the answer I received. Fast forward six years later! I have the undeniable knowing that I’ve found those people. The sensation of distant calling is long gone. In its place are three of my favorite people on the planet. In the time period since I wrote my book I met and married my true love. 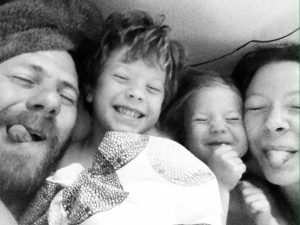 And if you follow my blog you know that we’ve had two babies; okay I had the babies! And we are happily living on what we think of as our island paradise in the Puget Sound. I was living here then too– but not with these lovelies, and not in this home my husband dialed to perfection for us even before we arrived. I no longer have the sense that something or someone in my life is missing. In fact I feel the opposite. I feel like we are all here. My life is truly in the place that I always saw with my second sight that it was going. I can’t tell you the number of times that when I would ask myself about my own future my mind would flash to a vision of my own self happily writing in some lovely place that felt all mine. Even before I knew that I was a writer, or what I would write I would see this vision in my mind’s eye when I asked. Of course I had no idea how I was going to get there exactly. That’s the beauty of life AND your intuition, you don’t really need to know all the details of how. All you need to do is listen, trust, and act upon the guidance your intuitive knowing is giving and one day you find yourself arrived precisely where you were meant to go. 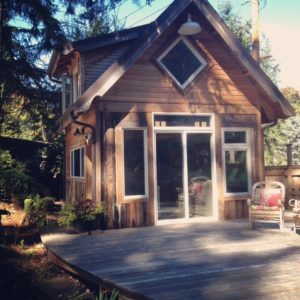 As I write this I am sitting in the studio that my husband built me on our property. It and my life now are the epitome of what I always saw in my mind’s eye. The feeling of it matches perfectly what for many many years I saw was my future. I have arrived. My people are still calling, but mostly they say things like, “Mom can I have a snack?” Or “Honey do we have plans Friday night?” And now I can hear them loud and clear! If you want to know a simple four-step process that will help you use your own intuition to get the real and practical positive events, experiences, and answers you want, I wrote a book for you, six years ago in fact. It’s called Getting Answers: Using Your Intuition to Discover Your Best Life. That kind of feedback makes an author’s heart AND face smile. I LOVE hearing it. It makes me feel like my book is serving the intention I set out for it to fulfill. 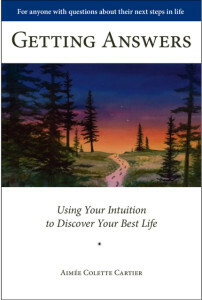 This book encompasses everything that I know about how to get answers using your own intuition– in a way that is practical to your life, easy, and applicable, even if you don’t consider yourself a psychic. It uses what comes naturally to me as a born seer and shows others how simple it really is. So, in any case. If you haven’t seen it by now. Take a look. You could be one question and answer away from landing exactly where you’ve always seen yourself going. P.S. If you want more even more than just a book, you can study with Aimée. 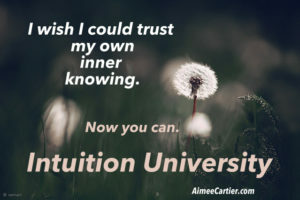 Through her Intuition University program she teaches you how to finely dial your intuitive senses, understand your innate psychic traits, learn to trust, deepen and reap the benefits of using them. This is all while under the tutelage of an expert guide. It’s not a cookie cutter program on psychic phenomenon or experiences, it’s a highly personalized program tailored precisely to you that helps you apply your own intuition for practical solutions and success. It’s for students who are ready to be empowered by what they already have inside. 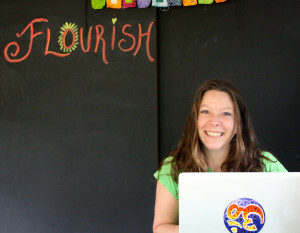 Find out what other’s say about Intuition University here. Or schedule your FREE exploratory phone call today. Your Highest Self: Who is S/He and why you want to know her? Or him! If you need a reason to trust your intuition here are four. I might never have been forced to make it so succinct if I didn’t have a toddler. Thank you son. What a great post! Yes, you have manifested a beautiful life and surrounded yourself with “above average” people. 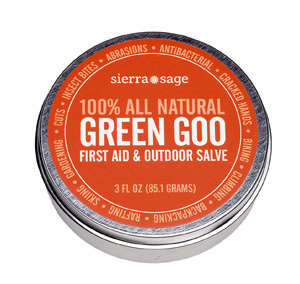 (Thank you Garrison Kellor for that description). I feel so proud of your accomplishments! Yeah! !